It's not that I'm a cynic about Valentine's day, it is just an incredibly busy and expensive month for Jason and I so it does get overlooked slightly. I'm not a big believer in having to spend loads of money on tacky crap to show that you love someone. Something handmade is far more thoughtful and precious and that's something we stick by in our little household. So here's a way you could do something handmade without it feeling like a disposable project. It's pretty quick to make and would be a nice addition to a handmade card. 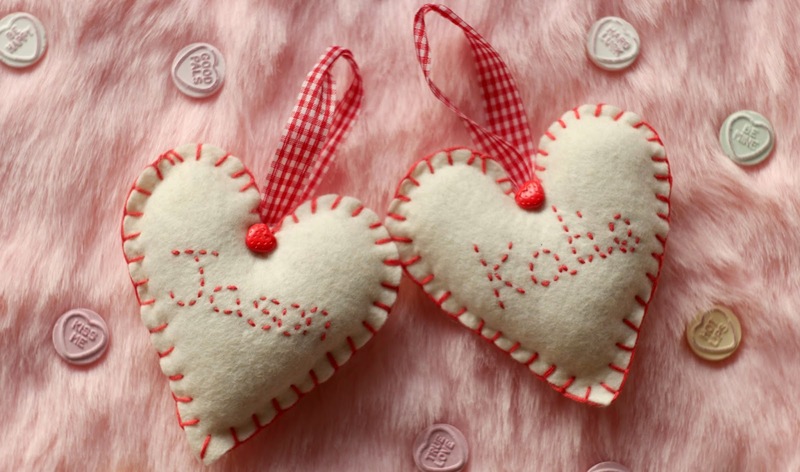 These little personalised felt hearts are perfect for Valentine's day. 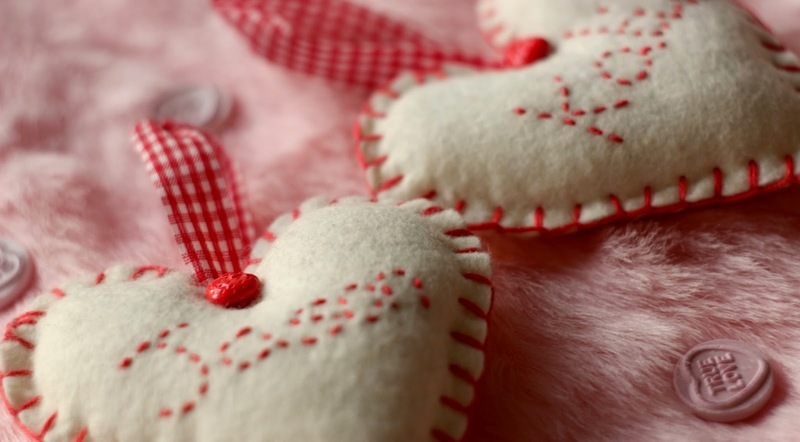 They are very sweet and add a person touch with the embroidery. It is a quite basic sewing project, blanket stitched edges and just a straight stitch embroidery, but I feel like it is quite effective. The thing is, because of the colours I've used, it's not too in your face lovely-dovey stuff. I keep these hung in our bedroom on my dresser and I think they look very sweet amongst the fairy lights. However, I also move them onto the Christmas tree in winter, so can be used in a few different ways. You could even make them into lavender bags! What do you think? A simple and cost effective Valentine's DIY! My weekend plans will hopefully involve eating pizza and chocolate, watching a good film and chilling out with my darling; that's romance enough for me! 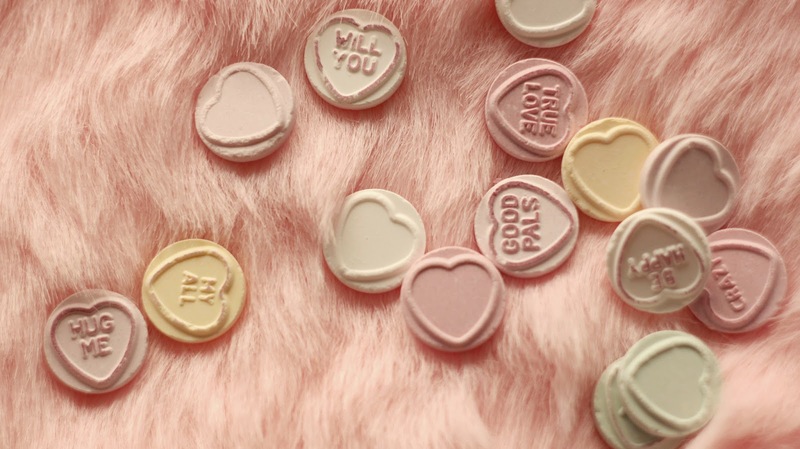 Have a lovely Valentine's what ever you end up doing! these are super cute! nicely done!